The Book Rat: Review & Giveaway: SHADOW SCALE by Rachel Hartman! Review & Giveaway: SHADOW SCALE by Rachel Hartman! I promised you last week, in my (*cough*awesome*cough*) interview with Rachel Hartman, that I'd be finally sharing my thoughts on Shadow Scale with you. I mean, it's not like I haven't been telling you for months that I love this book/series/world/author, so I guess what I really mean by finally is that I'm FINALLY going to tell you why. So check out all the whys below, and then enter to win a copy for yourself! Or, if you can't wait, Shadow Scale hits stores TODAY!!
. . . alright, so now comes the difficult bit of trying to actually put into words how I felt about this book. I've talked before about how it can be much harder to review something when you like it; if you hate a thing, you can probably go on for quite some time about all of the many, many reasons that you want that thing to experience a fate worse than death. But when you like, or even love a thing, it can be hard to capture why — at some point, you normally just devolve into some weird Gollum-like creature, tenderly petting it and calling it your preciousss. But in Shadow Scale, I'm actually getting more than that. This isn't just Seraphina retold — Seraphina II: 2 Fast, 2 Fire-breathing — and it doesn't just concern court intrigue in the heart of Lavondaville; Shadow Scale is Seraphina's journey throughout the kingdoms of the Southlands, to find the half-dragons that have populated her mind since her childhood. And in the process of discovering just who these ityasaari, her childhood grotesques, really are, Seraphina also discovers herself. There's a lot of growing up for Seraphina, and realizing that these people she has a connection to are so much more than the little boxes she's kept them in in her head all these years — and that she's also been keeping herself in a box, afraid of her heritage and talents and power, to the point that she's closed off a huge chunk of what makes her her. Shadow Scale is Seraphina's coming of age story without the saccharine connotations that the phrase normally implies. Seraphina's still smart, strong and compassionate, but she realizes how much more she can be, how much more she can give, and perhaps most importantly, how much more she has to learn. And one of the joys of the book is that we get to learn that with her. We get to see what life is like in the neighboring kingdoms of Ninys, Samsam and Porphyry; how ityasaari are viewed and what kinds of lives they're able to make for themselves; how big the world is and how much of it is still out there, waiting to be discovered. There is a truly impressive level of clarity in the locations and characters — in what could easily become an unwieldy cast in less capable hands remains distinct and memorable in Hartman's. I'm not sure whether this is because we've had time with Seraphina's garden of the grotesques to familiarize ourselves with the other ityaasari, or because she's just that damn talented, but I'm putting my money on the latter. Like Seraphina, I loved exploring these new worlds and experiencing their cultures, and seeing the ityasaari come to life, free of the constraints Seraphina (and sometimes, the rest of the world) have put upon them. And as with the first book, I very, very much enjoyed the intelligence and feeling with which it was all laid out. Hartman is very skilled at creating a world that feels real to me; that has characters that interact in authentic ways, and who are dynamic enough that you can picture their backstories, their reactions to things, their wants and fears — I enjoy a world that I can continue to build upon in my head, because the foundation is so solid that I feel I know its characters and likely outcomes. This is built by having a story that is itself dynamic, that has its sorrows along with its joys, its harsh realities and heartbreaking realizations along with its unexpected boons and laughs and loves. Shadow Scale feels like a complete reading experience, its world a complete world, and its ending a fulfilling and satisfying one. *I say I've "grown to love" them, but really, I loved them from the start. Thanks to the awesome, amazing folks at Random House, I have one copy of Shadow Scale to offer up to one lucky reader! This giveaway is US only, and ends March 17th at 11:59pm EST. Fill out the Rafflecopter below to enter. Good luck! As a child, RACHEL HARTMAN played cello, lip-synched Mozart operas with her sisters, and fostered the deep love of music that inspired much of her award-winning debut novel, SERAPHINA. 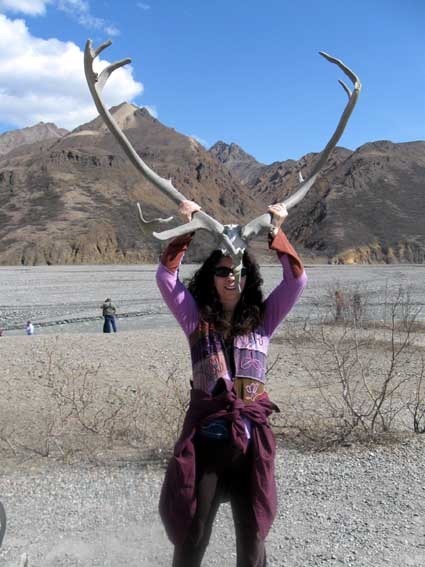 Born in Kentucky, Rachel has lived in Philadelphia, Chicago, St. Louis, England, and Japan. She now lives with her family in Vancouver, Canada. A New York Times bestseller, Seraphina won the William C. Morris Award, received eight starred reviews, and was named to multiple “best of” lists. To learn more, please visit SeraphinaBooks.com or RachelHartmanBooks.com. "Seraphina" was one of my favorite books ever. 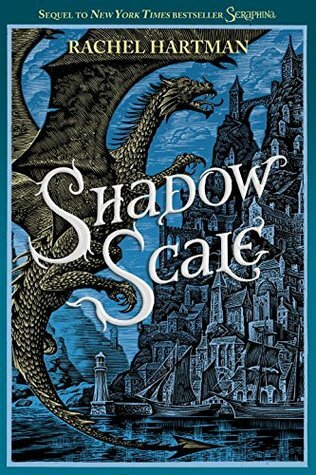 I am dying to read "Shadow Scale"! Thanks for the thorough and fabulous review! It probably wouldn't be fair for me to judge that, since I DID reread it recently, so I'm not sure if I would have found it confusing or needed a refresher otherwise. BUT I don't think you'd need to. It's pretty self explanatory what's going on, and more than that, it's its own thing -- Seraphina leaves Gorredd in search of other half-dragons, so it's really a whole new world/setting to explore, so you can kinda start from a place of remembering only the basics. You may miss out on little details, but for the most part, I'd say it'd be fine. I HAD NO IDEA ABOUT THE GRAPHIC NOVELS! I adored Seraphina. 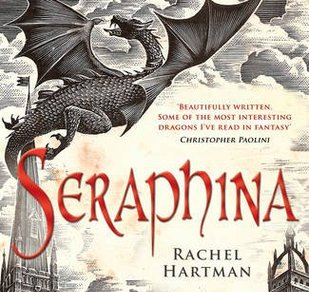 I didn't know I loved dragons or novels about dragons, and then I read Seraphina. I've love that everything is so developed, from the world to the characters and their feelings. She wasn't afraid to give everything room to breathe, and while the pace was slow, it was never boring or draggy. I have been desperate to get my hands on Shadow Scale because I need more of this world (and Kiggs). Seraphina has had such great reviews overall, can't wait for Shadow Scale too! Thanks!! I love your description of the Gollum syndrome. It's so true, and I've never seen a better way to describe why it's so hard to write reviews for books I like. I've been waiting on tenterhooks for Shadow Scale ever since I read Seraphina and reread it about half a dozen times immediately afterwards. I guess I have Gollum syndrome too! I'm excited to hear that Seraphina has more growing to do in the sequel. She grew so much in mere days in Seraphina! Shadow Scale seems to be amazing, I can not wait to read it! It seems like I've been waiting forever for this book...I loved (loved, loved, loved!) Seraphina. I'm excited for Shadow Scale because I've been waiting FOREVER for it to come out. Loved Seraphina so, so much. Basically I love the series so much I greedily want another book, so I was very happy to learn Hartman is planning another duology in the same world--it's a world she's been creating stories about for many years, first in a series of comic books. For now at least we have these two books--both Seraphina and Shadow Scale are so rich and immersive I know I'll be re-reading them again and again.